It’s that time of year again, Fire Prevention Week! 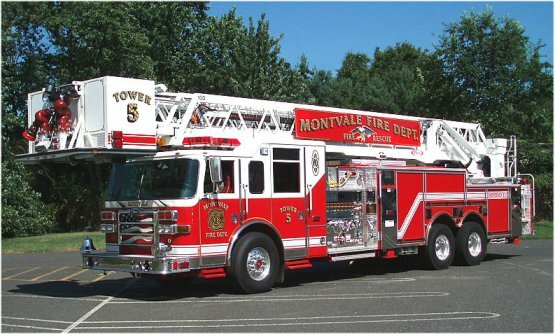 Right now, schools across the nation are getting visits from local fire departments and their legendary trucks. In a few of the more awesome (and probably ill-guided) demonstrations, firefighters show how to easy it is to create household fires with common electronics and heating elements. National Fire Prevention Week was started in 1925 by President Calvin Coolidge but the awareness week has its roots in an earlier event, Fire Prevention Day, that was first held in 1911 on the 40th anniversary of the Great Chicago Fire. The first Fire Prevention Day was sponsored by the Fire Marshals Association of North America (FMANA) and sought to inform the public about the importance of fire prevention. The theme for the first Fire Prevention Day was “Protect Your Family from Fire” and included fire related activities, such as fire extinguisher training and creating evacuation plans. Fire Prevention Day expanded to Fire Prevention Week in the 1920s with the support of the National Fire Protection Association and was made official by executive order in 1925. For 86 years, communities across the United States have gathered together to better prepare themselves for fires. Despite advances in communications technologies and building materials, danger from fires still threaten many Americans today. From the common electrical fires to raging wildfires in Texas, sound fire education has never been more necessary. Support the Fire Prevention Week activities happening in your community! What you learn during Fire Prevention Week might just save the lives of you and your family… And at the very least, you’ll probably get to see something set on fire.